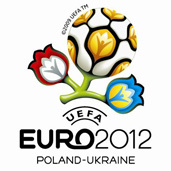 The city authorities have devoted 173.7 millions of hryvnias for the preparation of the Charkow region for the EURO 2012. 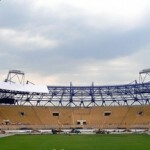 The largest part of these funds will be spent on the modernization of a stadium and the runway of the Charkow airport. 100 millions of gryvnias devoted to the reconstruction of Metallist stadium, 56.7 millions of hryvnias for the reconstruction of the runaway of the International Airport in Charkow and 17 millions of hryvnias for the reconstruction of roads. The authorities also freed from the duty goods and commodities (total 10 names), which are not produced in Ukraine and which were not imported to the country and were used as an equipment for the Metallist stadium. 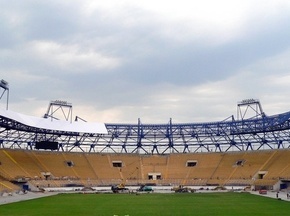 – The official opening of the Metallist stadium in Charkow will be held on 5 December – said Michaił Dobkin, city mayor. Alexander Jarosławskij, chief executive of DCH as well as the main investor and chief coordinator of Charkow for EURO 2012, expressed also strong confidence when it comes to the opening of the stadium on time.